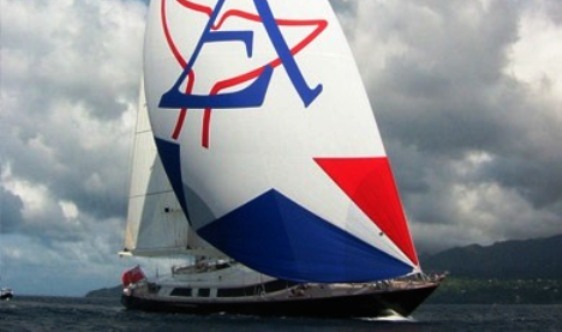 Sailing Yacht ATMOSPHERE was built by Perini Navi and delivered in 2000. 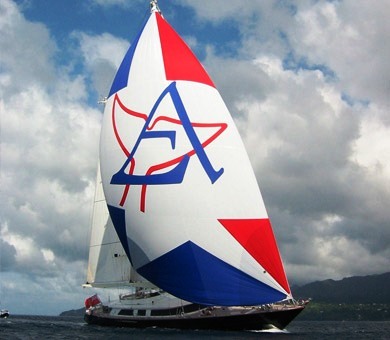 This superb 53m tri-deck motor sailor is a vessel combining the best of both sail and power. 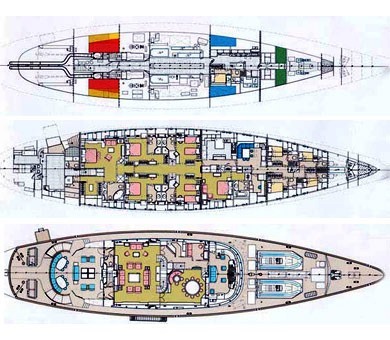 Her wide beam creates large volume inside and spacious decks outside, more comparable to a motor yacht than a sailing yacht. 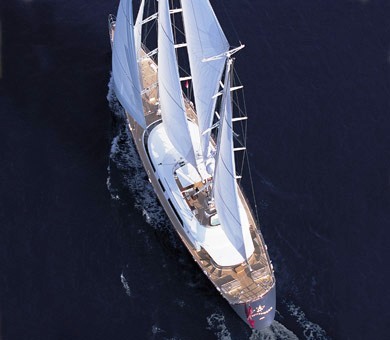 With an enormous ketch rig, Sailing Yacht ATMOSPHERE delivers around 15 knots in idyllic sailing conditions. The beauty of this motor sailer is that she can also move at around 12-15 knots under diesel power for those stiller Mediterranean days. 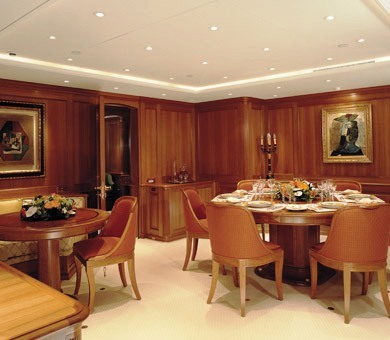 Below deck, ATMOSPHERE’s decor is spacious and elegant with exquisitely crafted cherrywood panelling and warm tones throughout. 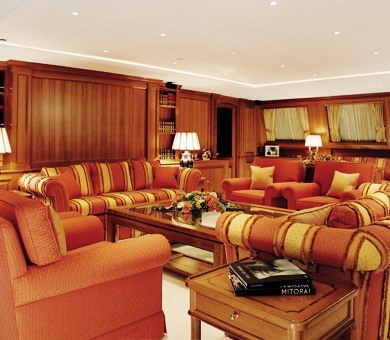 Her interior design is tastefully warm and homely with a large comfortable salon, separate dining and six generous ensuite cabins. 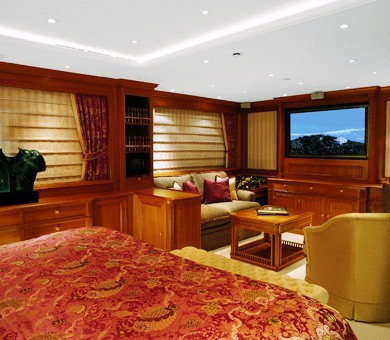 The salon and staterooms have all been fitted with audio visual entertainment systems. 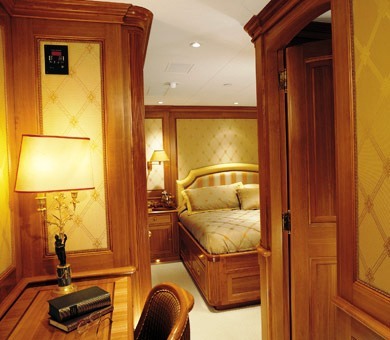 On deck, guests can enjoy two delightful relaxation areas. 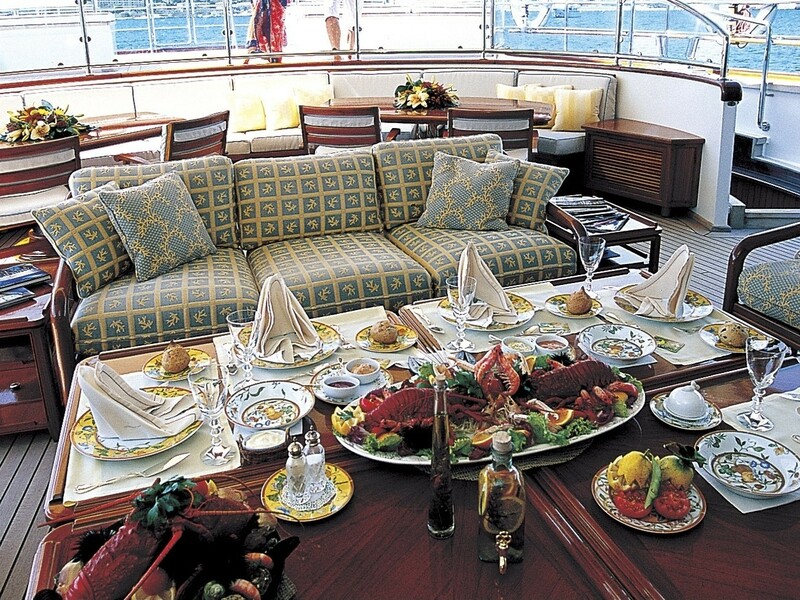 The first is a large lounge and dining area on the main aft deck under the shade of a superstructure; the second is on the sundeck. 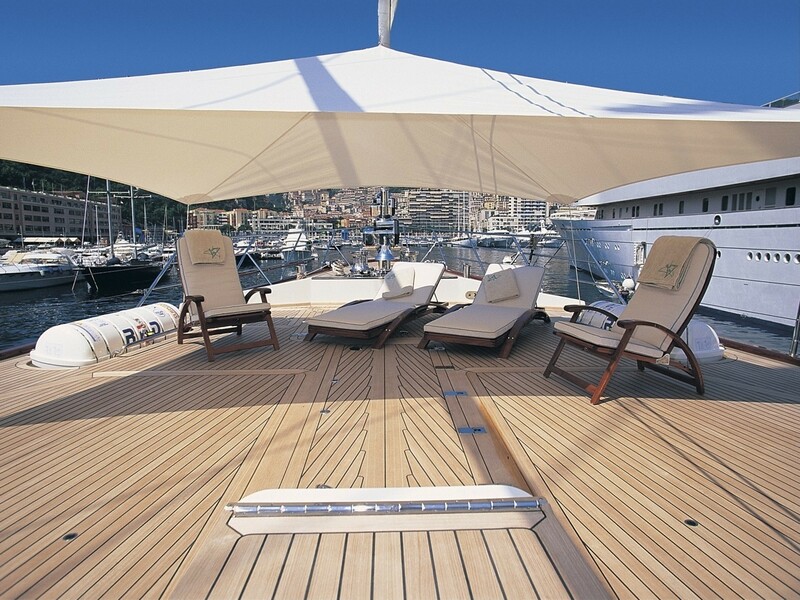 There is also a third area on the foredeck where an awning can be rigged to provide shade for guests who enjoy more privacy. 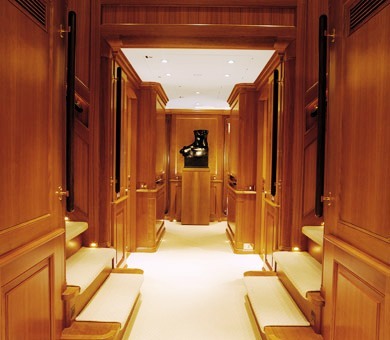 All tenders and toys are stored beneath the foredeck or in the lazarette's. 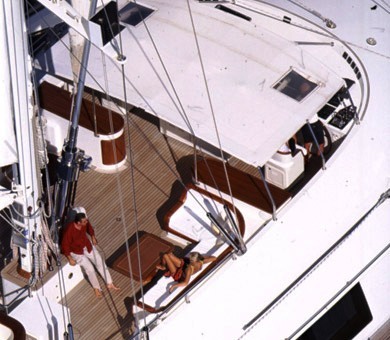 This results in clutter-free deck space which can be maximized for guests enjoyment. 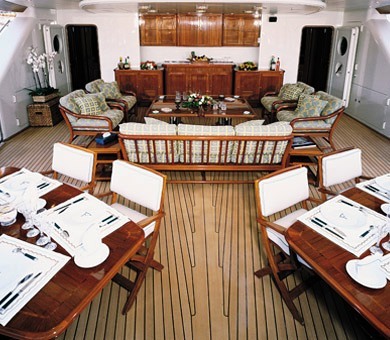 Sailing Yacht ATMOSPHERE underwent a refit in 2008 with the installation of a new cockpit table for 10/12, the addition of some new furniture and new soft furnishings in the main saloon and master cabin. 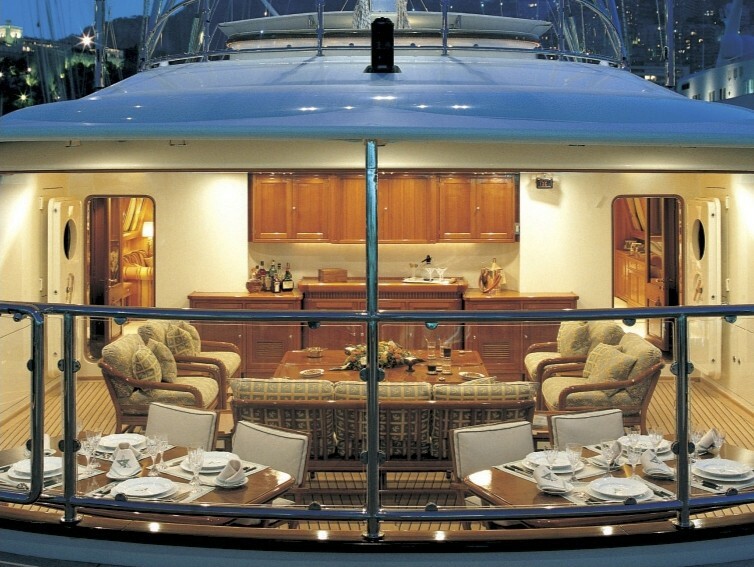 ATMOSPHERE looks fantastic and her ten professional crew are waiting to welcome guests onboard for an unforgettable Mediterranean yacht charter. 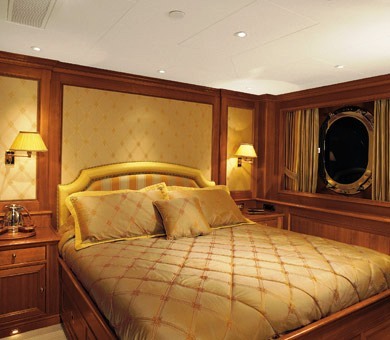 Sailing Yacht ATMOSPHERE offers comfortable accommodation for 8 guests in the following configuration: Master cabin (aft), spa pool tub, walk-in dressing room with connecting sauna and steam room. VIP cabin (forward) with tub. 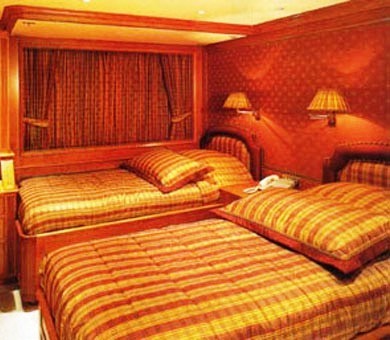 Two twin and two double cabins (midship) all with ensuite showers.